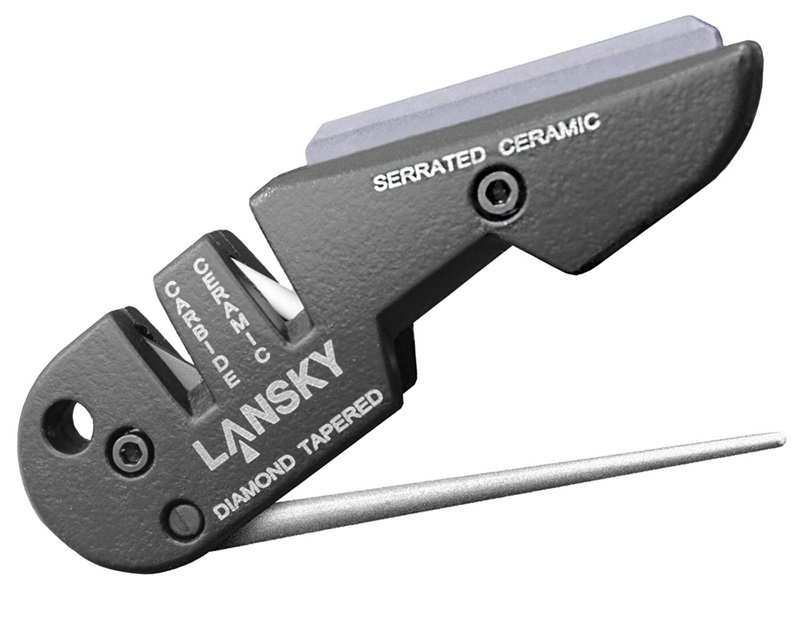 Diamond Tapered Rod - The diamond rod sharpens quickly. It can be used on straight edges, serrated edges and even gut hooks. The pull through carbide and ceramic rods are pre set at 22.5 degrees per side for an inclusive angle of 45 degrees. Q. How large is the Blade Medic? A. The Blade Medic is designed for use in the field so it fits comfortably in your pocket. The folded length is just shy of 4".